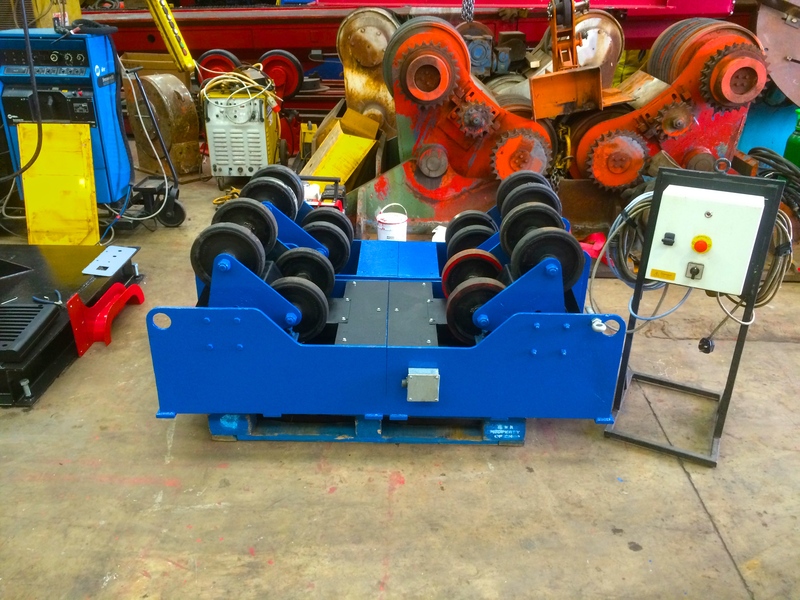 Here is a set of one of our MPE 5 tonne self aligning welding rotators, ideal for small compact spaces and light weight transportation. 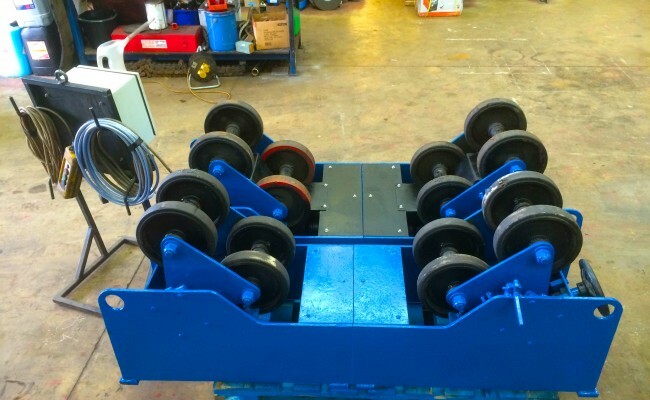 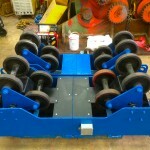 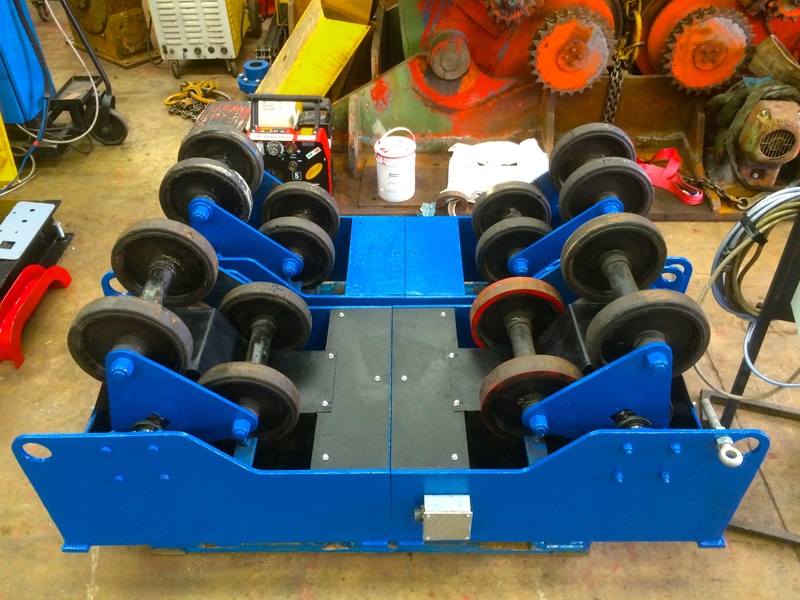 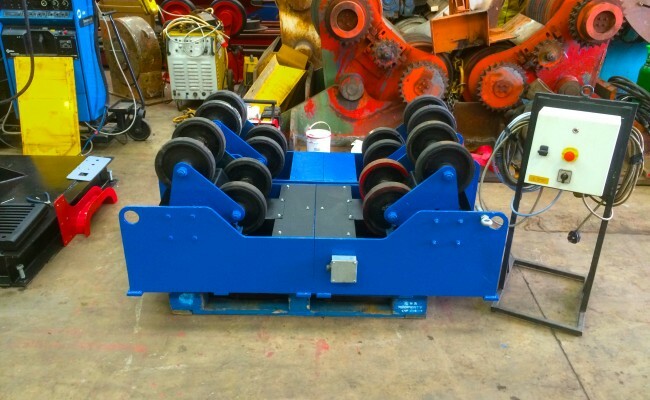 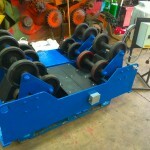 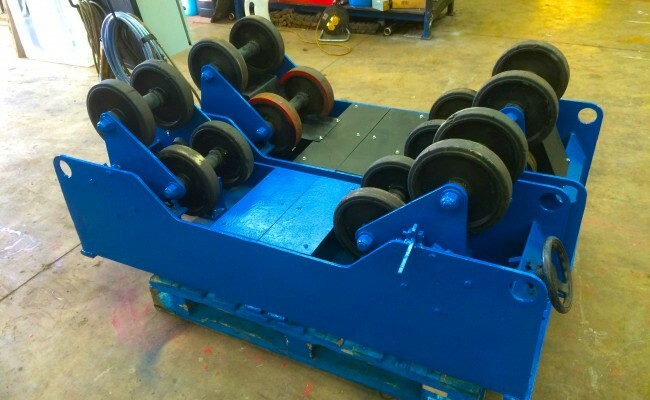 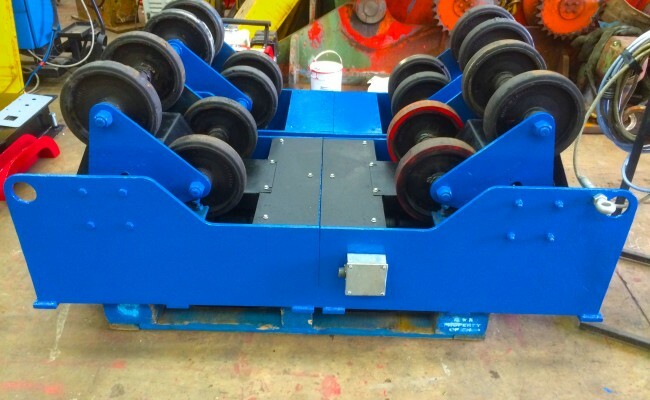 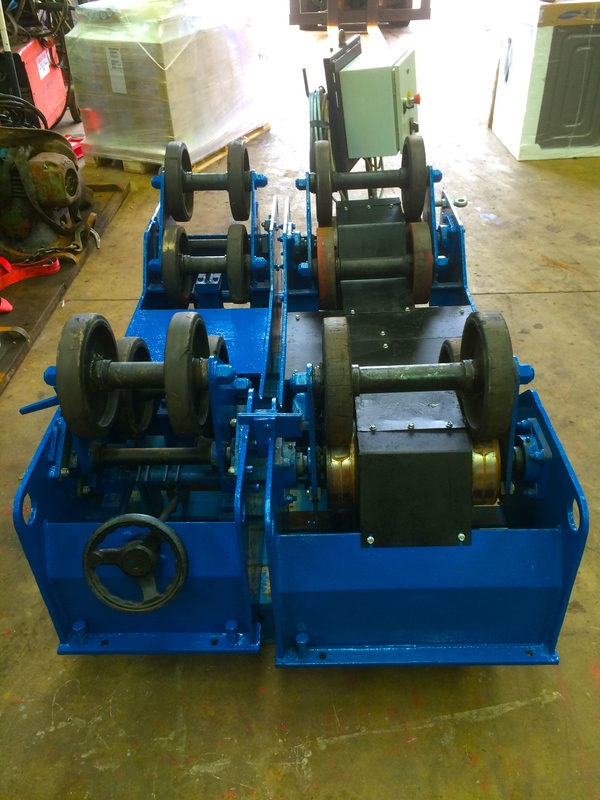 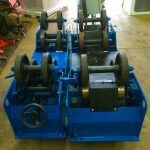 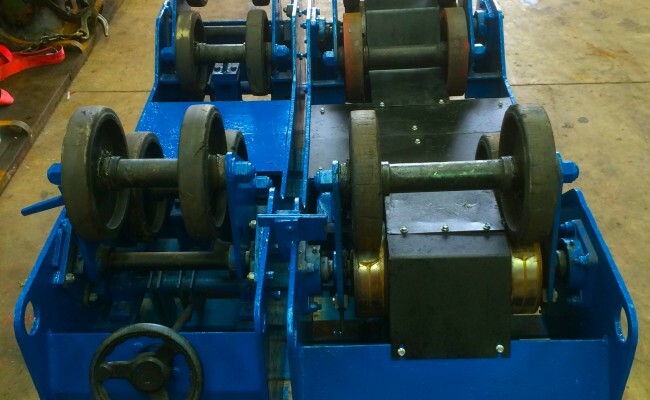 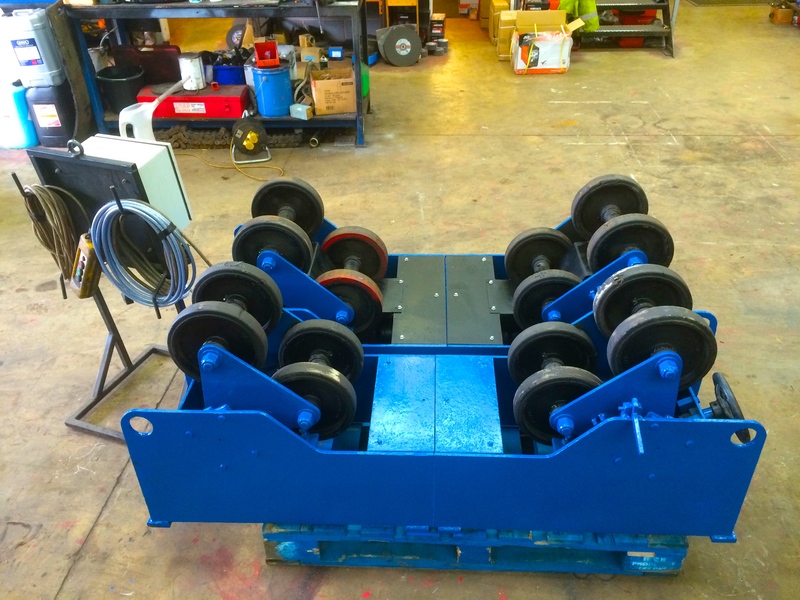 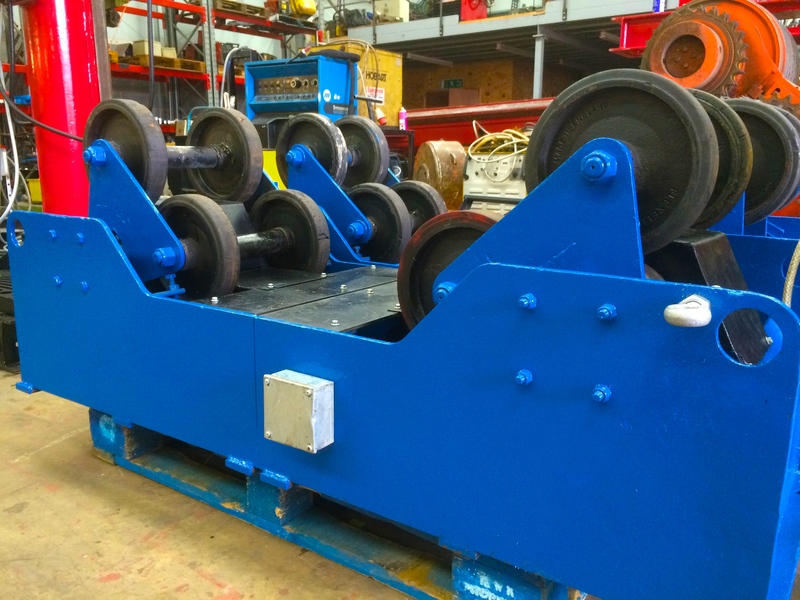 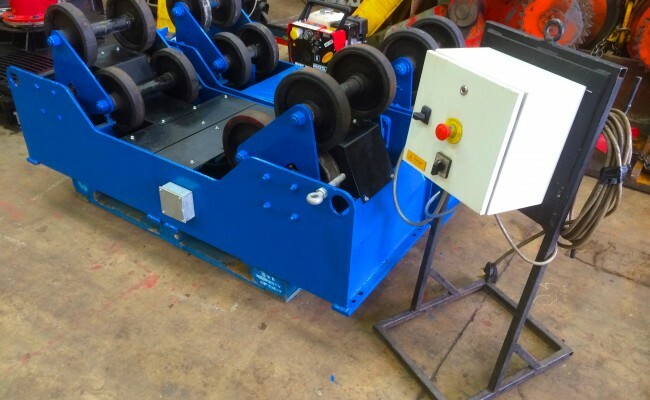 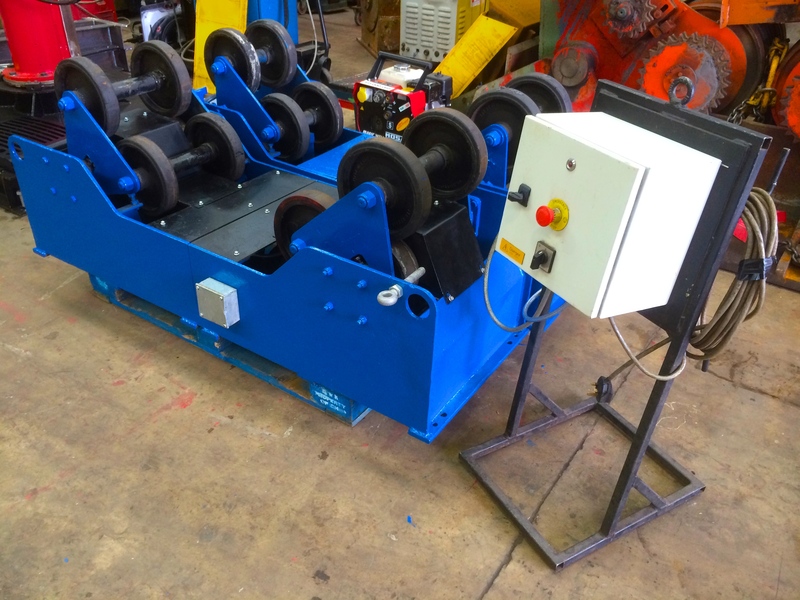 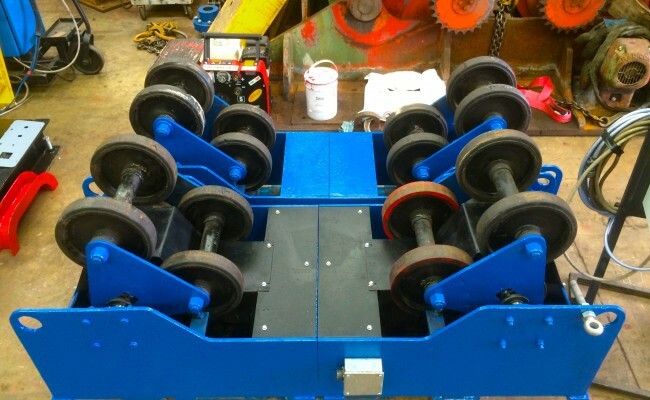 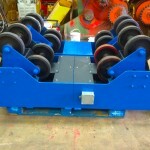 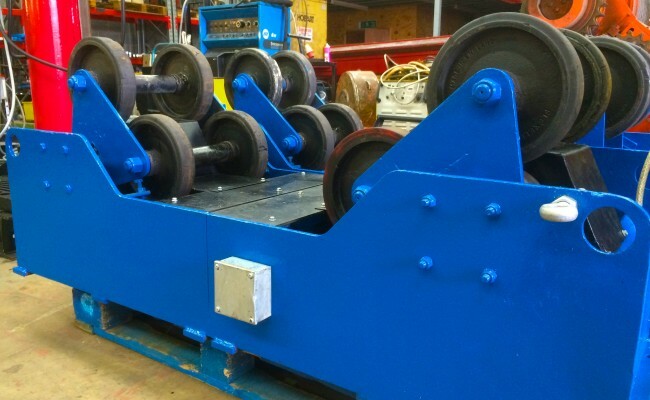 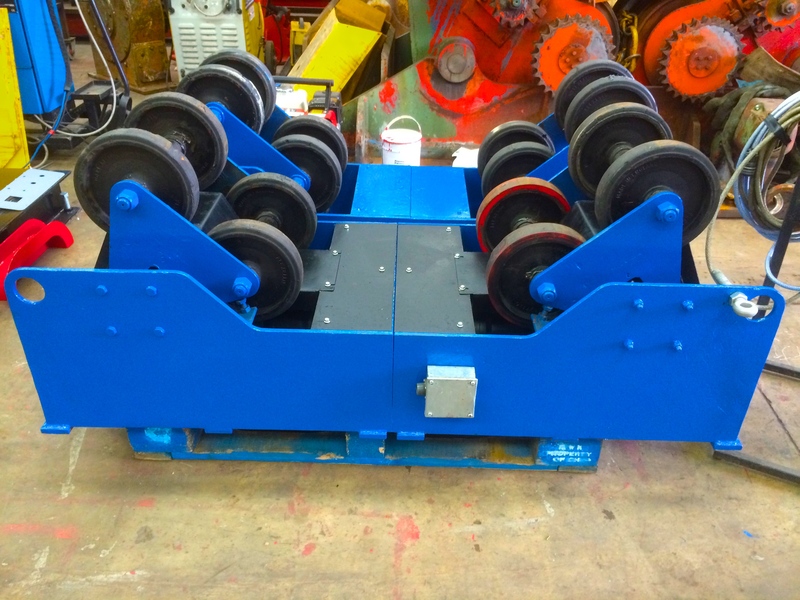 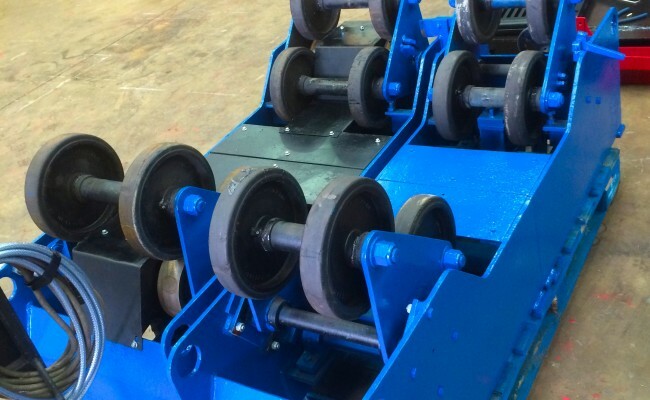 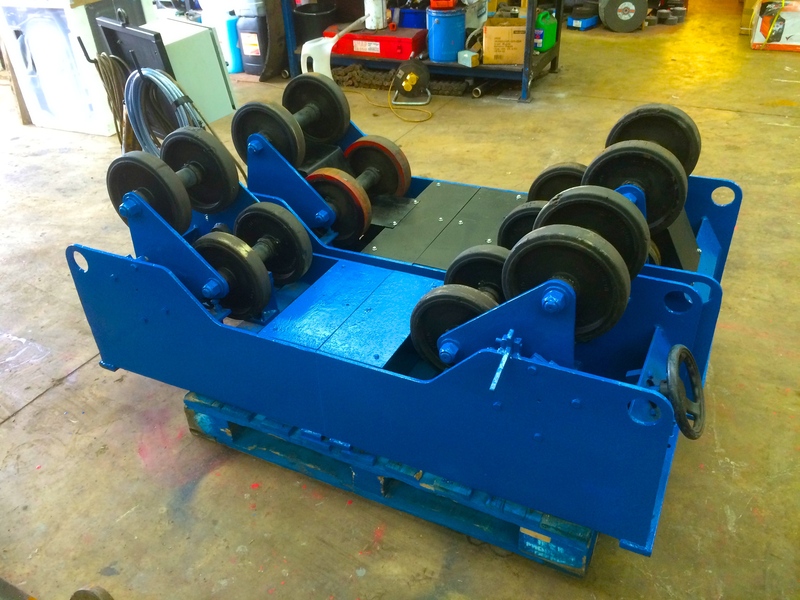 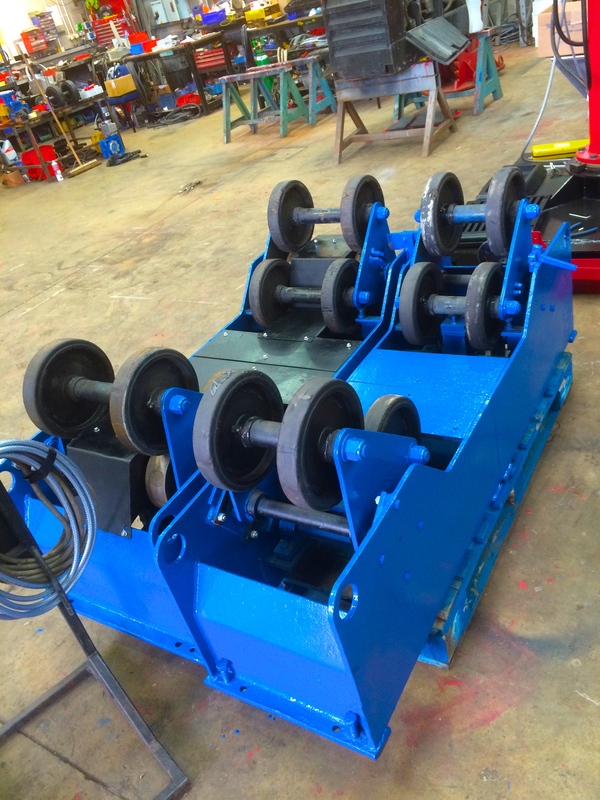 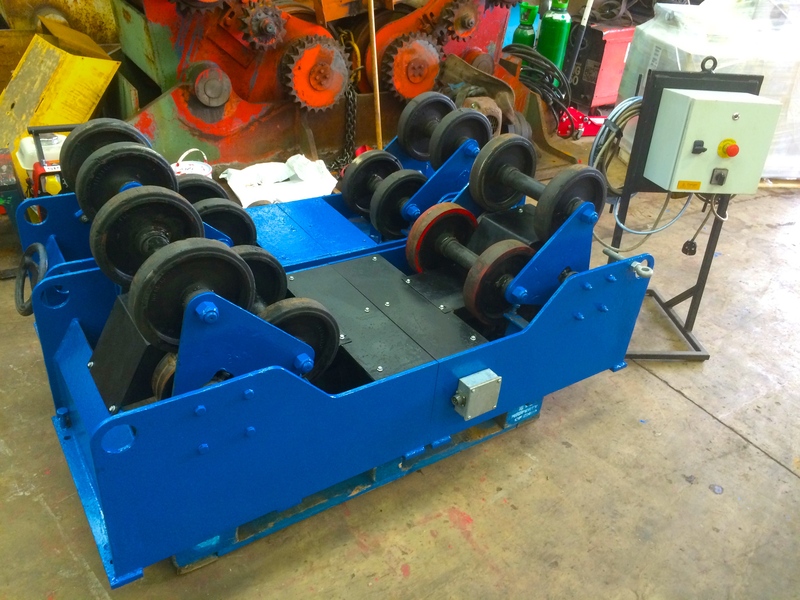 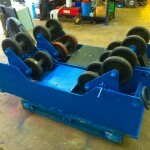 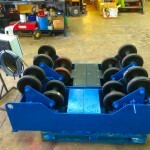 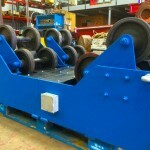 This particular model is 240V and has a bracketing device whereby the bogie that houses the 4 wheels on each side of each unit can be placed horizontally, which in turn allows for smaller diameter pipe to be turned in between the 4 wheels on the bogie. 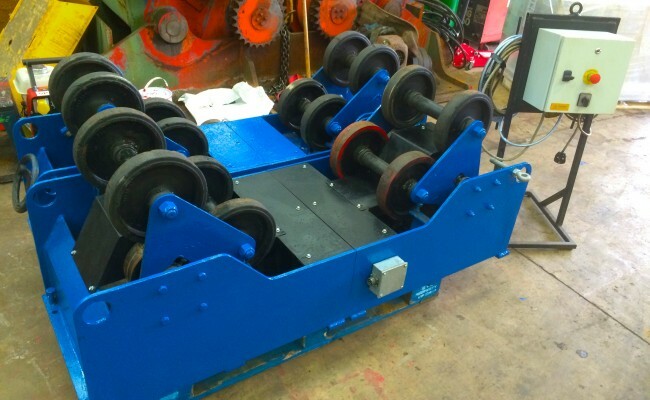 This also means that when the bogie is placed horizontally the load bearing capacity is reduced by half to 2.5 tonnes as it is only functioning on one side. 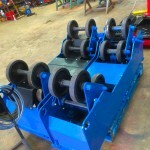 This is a great design for pipe work varying in size. 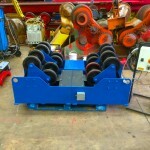 With this set being an older model and used we would heavily discount the cost for a bargain. 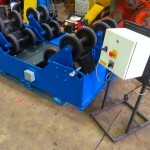 Our machines are also available for hire.